Available now for the iPhone, Android and Blackberry! 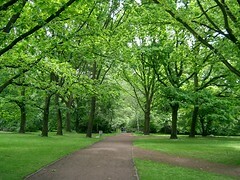 The Tiergarten is Berlin's largest city park, and one of the largest in Europe. Initially designed as a hunting ground for the rulers of Brandenburg, it is now enjoyed by thousands of Berliners every day. It was during the reign of Friedrich I that the park was opened up to the public. 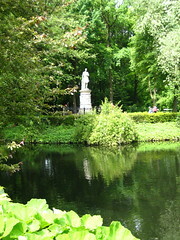 His successor, Friedrich II, then employed Peter Joseph Lenné to redesign the park in the English style. The result of this work is what you can see in the park today. Although heavily damaged during World War II, the Tiergarten was the recipient of heavy investment in the 1950s to restore it to its former state. Throughout the park, there are over 25 kilometers (15 miles) of walking paths and a number of lakes, which are quite popular with Berlin locals, especially during the summer. 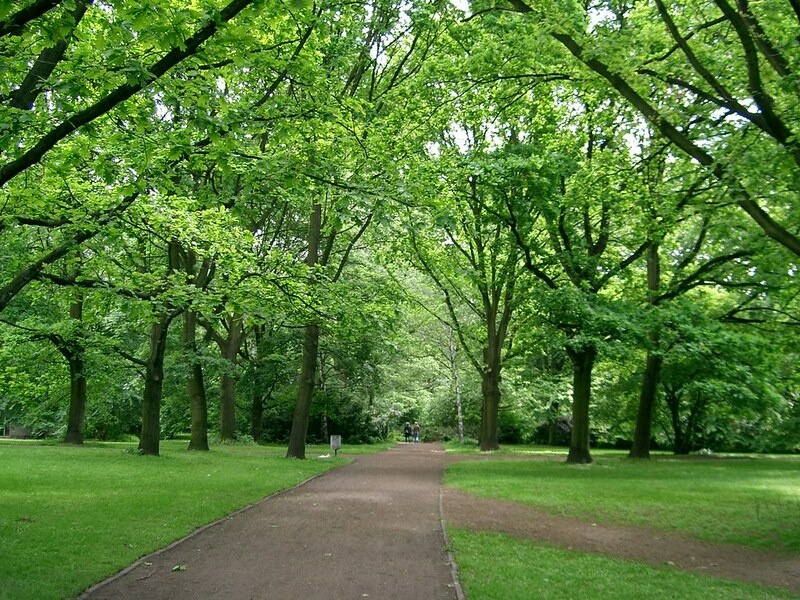 A few of Berlin's main attractions are also located inside or around the park. 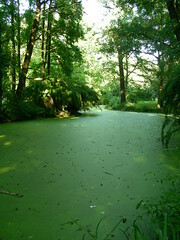 For example, the Berlin Zoo and Aquarium, which houses over 13,000 animals is located on the south side of the park. In the center of the Tiergarten, is the Siegessäule - a 70m high column celebrating German victories over the French, Danish and Austrians in the 19th century. It is possible to climb the stairs to the top of this monument to get a fantastic view over the city. In the north of the park is Bellevue Palace, the home of the German President. There are a number of S-Bahn and U-Bahn stations near the park, however the best way to explore it is to walk west from the Brandenburg Gate down Strasse des 17. Juni. This road takes you directly to the Siegessäule, which is in the center of the park, and past a number of impressive memorials and monuments such as the Soviet War Memorial about half way down the street. Impressive when we visited a "divided" Berlin in 1963, the current photos are absolutely phenomenal! 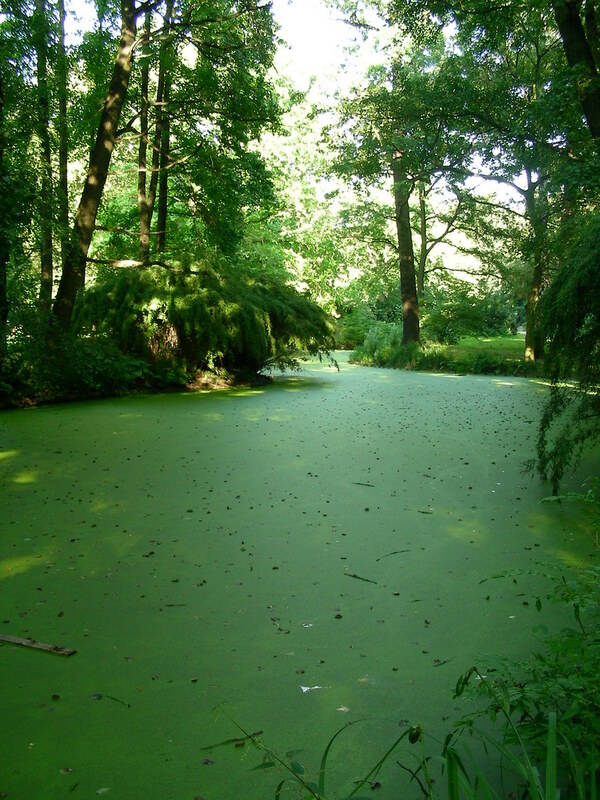 Have you already visited the Tiergarten? If so, let everyone know what you thought about it by writing a review! No registration necessary. Just click here to start writing! Please note: Information was correct at the time of publishing but can change without notice. For more information, see our Terms and Conditions. Copyright 2007-2010 cityscouter.com. All rights reserved.